Sewing for friends is so much fun! 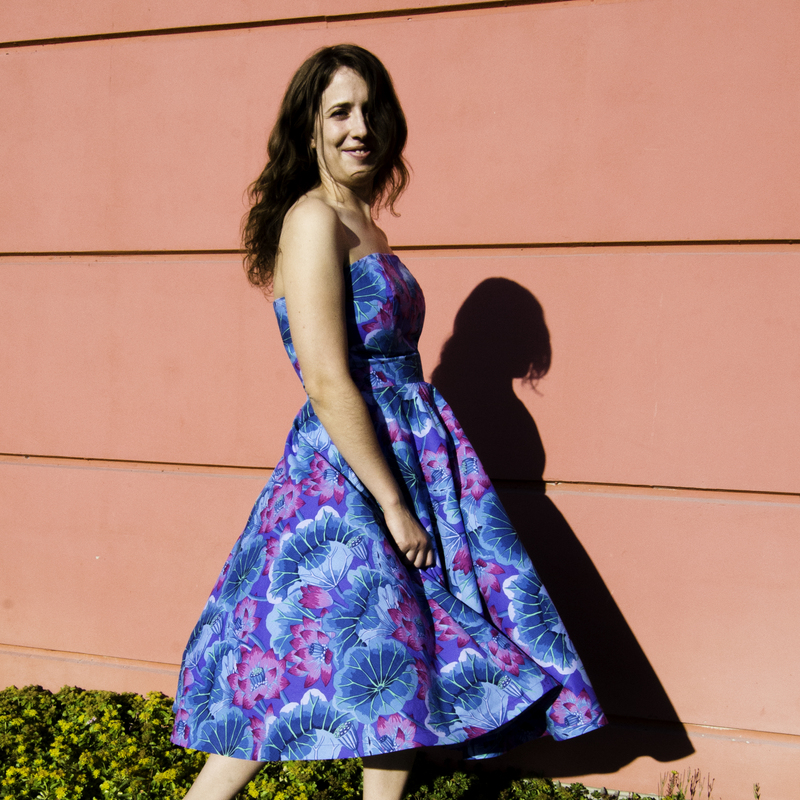 Laura wanted a summer dress that she could wear to her sister’s wedding, and we decided the classic silhouette of a strapless bustier and a 3/4 circle skirt would suit the occasion perfectly. Laura and I share a love for bold, beautiful prints. She picked this Kaffee Fasset fabric after doing her own research online, a pleasant coincidence as I had just recently discovered Fasset’s work myself. This was the first time I used one of Fasset’s fabrics, but it won’t be the last! Thank you very much!!! 😊I’m so happy we went with that colour. It looks great on Laura! Your welcome…it is a beautiful dress! Your welcome… It is a beautiful dress…. I can’t wait to see more! Eyecandy, every bit of it!